Out from the steamer, into the oven for the festive period! Gingerbread Bao has been freshly baked by Scott Tolleson x Pobber. Hmmm we wonder what would Gingerbread Bao actually taste like? anyway too cute to try. Gingerbread Bao has been released TODAY so get him while he’s still hot. 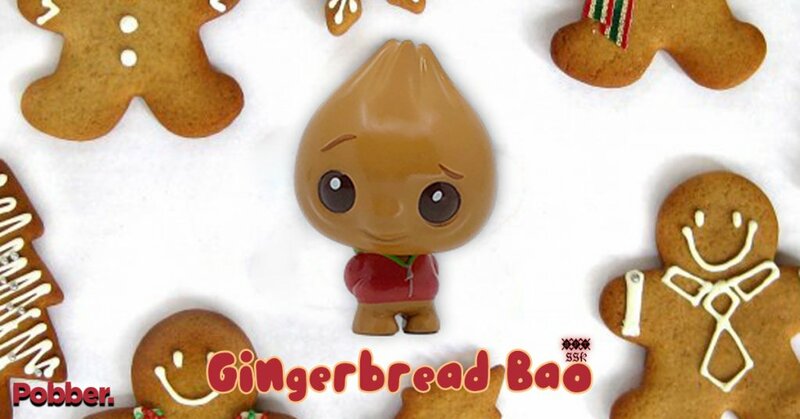 Tis’ the season to be jolly and Gingerbread Bao is here to celebrate with you. If you want to get your Designer Toy news first, you should look to download our new TTC Mobile App. Designer Toy news direct to your smartphone. No dealing with social media algorithms. .